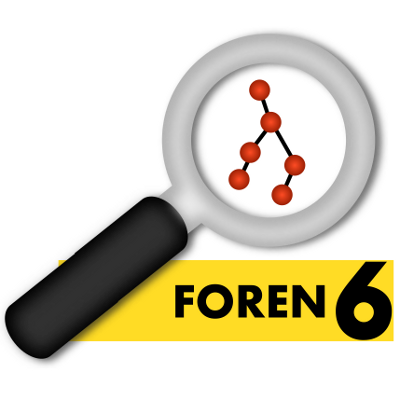 Foren6 is an effort to provide a non-intrusive 6LoWPAN network analysis tool. It leverages passive sniffer devices to reconstruct a visual and textual representation of network information to support real-world Internet of Things applications where other means of debug (cabled or network-based monitoring) are too costly or impractical. Visualize your 6LoWPAN network. Foren6 uses sniffers to capture 6LoWPAN traffic and renders the network state it in a graphical user interface. Detect routing problems. The Routing Protocol for 6LoWPAN Networks, RPL, is an emerging IETF standard. Foren6 captures all RPL-related information and identifies abnormal behaviors. On-site diagnosis. Foren6 captures live packets from deployed networks in a non-intrusive manner. Multiple sniffers can be combined for extended coverage. Debug-oriented. Rewind the packet capture history, replay a previous packet trace and navigate through different overlays to pinpoint problems. Customize to your infrastructure. The network viewer uses floating positions, or user-defined layouts to visualize sensors in their real setting. Android support. An Android port is under development, allowing to visualize 6LoWPAN networks on a tablet. It is ideal for walking around in a WSN. A glance at Foren6, supporting the deployment of the Internet of Things. This short video presents a tour of Foren6, a 6LoWPAN network diagnosis tool. We invite you to take a few minutes to learn what Foren6 is about and how it can help you design and prototype your Internet of Things solutions.